The Missing Alchemist (book 1 of the Young Alchemist series) is a easy read fantasy novel that young readers who enjoy adventure are sure to love. The story follows Craig Pike, an alchemy student who embarks on a journey to rescue his kidnapped teacher, Cornelius. Along the way, Craig is joined by Audrey, an archer from a desert metropolis. This is the third release from children's book author Caldric Blackwell. The story is really, at its heart, an adventure. Craig and Audrey battle a giant, fight off blood-thirsty bats, and ultimately come face to face with a powerful evil alchemist. The plot is relatively straightforward, with the characters’ primary goal being to rescue Cornelius. They go on a few detours along the way, but the trajectory of the plot is pretty cut and dry. I think the book’s greatest strength is the “fun factor.” It’s two kids on an adventure, and the writing is very light-spirited. The fighting scenes aren’t very realistic (no pain and agony), but this is because The Missing Alchemist is aimed at pre-teens/young teens. If you’re an adult looking for a new realistic fantasy novel, this certainly isn’t a book for you, but if you’re looking for a fun adventure book aimed at a younger audience, I’d wholeheartedly recommend this book to you. 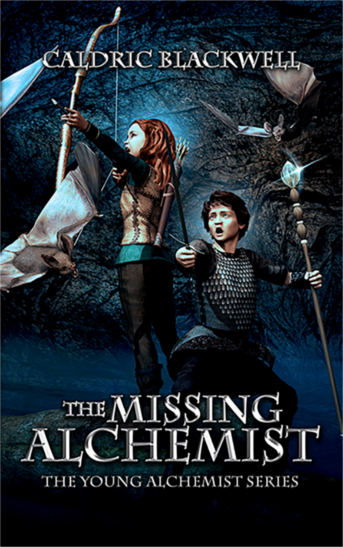 Buy the Kindle version of "The Missing Alchemist"